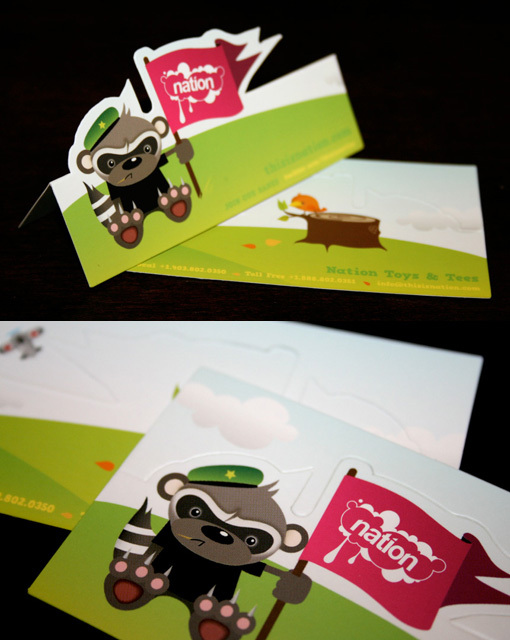 These are 'Nation Toys' business cards vs2. We wanted a design that was consistent with the look and feel of the website and we couldn't resist using some of the illustrated characters. Creating something that was almost too cute to hide or toss was key, so we made the cards reversible / die-cut / pop-up. A playful reminder of what Nation is all about.